It’s been a while since I’ve zoomed out and given you a little room update anywhere in our interior. We’ve been all about the backyard for months! 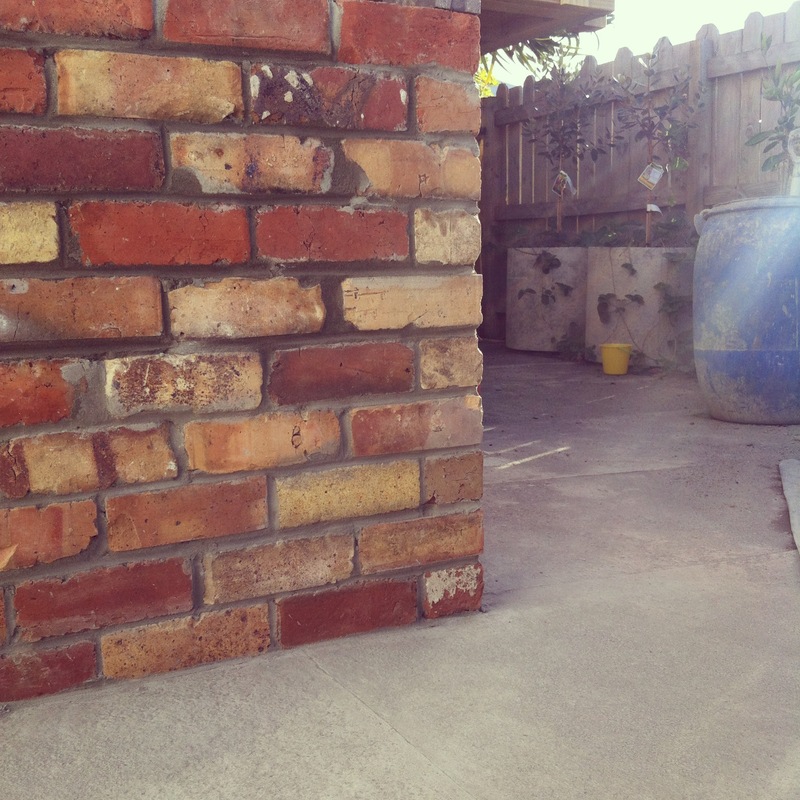 But just like the brick wall that’s happening layer by layer, life is adding layers to every room inside too. 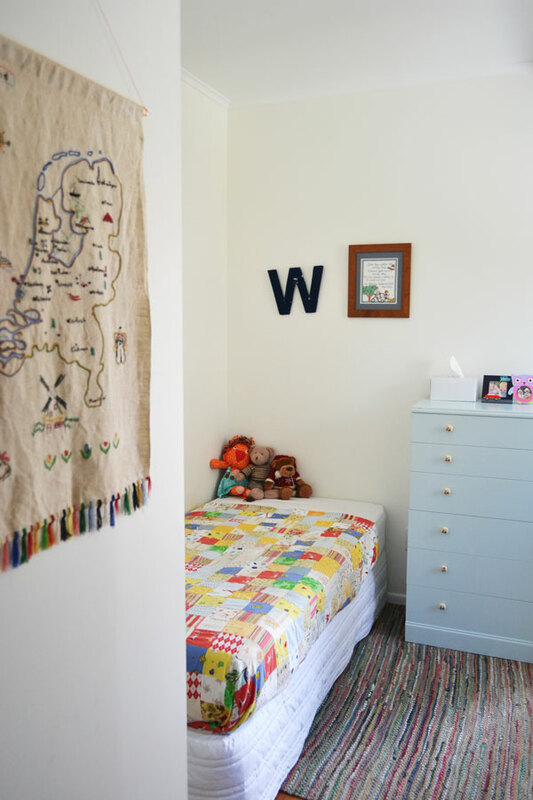 Apart from a lack of curtains and art on the big wall by Master W’s bed, the kids room is the most “got it together” room in the house. And I like that it is actually the most mixed and matched and everything goes type room as well. A little like the lovely layered home I shared with you some time ago. So here are some photos of my favourite space! 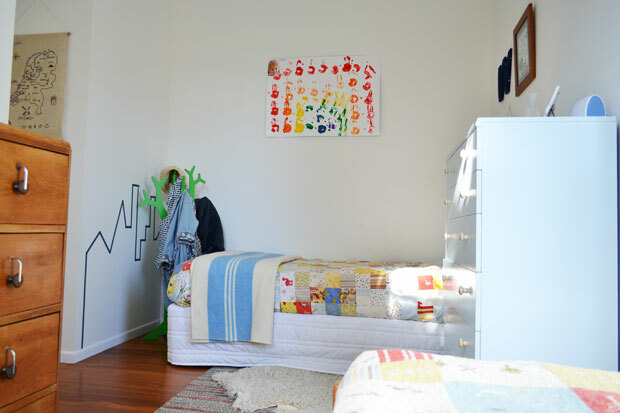 This boy-girl room where our little darlings sleep (and jump on the bed). For a small room with no wardrobe (the cupboard in the corner houses the hot water cylinder) we have packed a lot of function into this room and I’m excited to see how it will grow and adapt with the kids. At some point in the future I’m envisioning corner bunks, to allow more room for play in here, as well as sleeping. 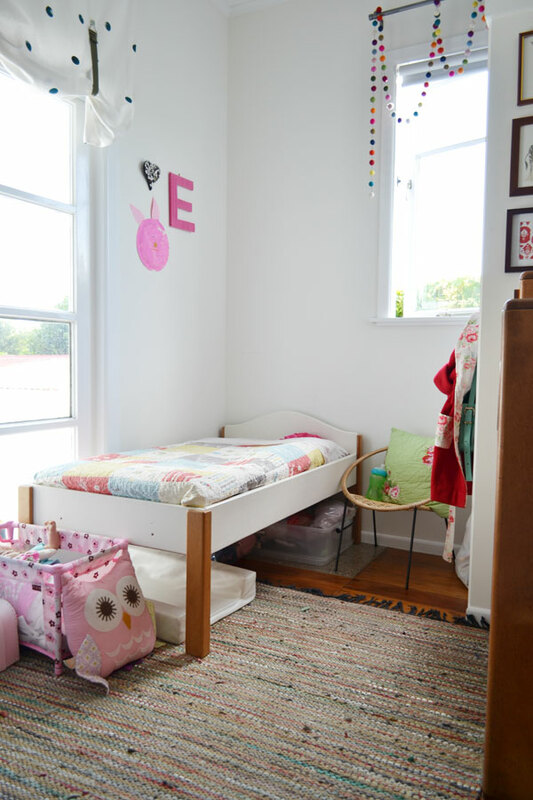 I hope to lose the kids for a time, only to find them engrossed in a book curled on their beds, or having some fun with imaginary play under the bunk! 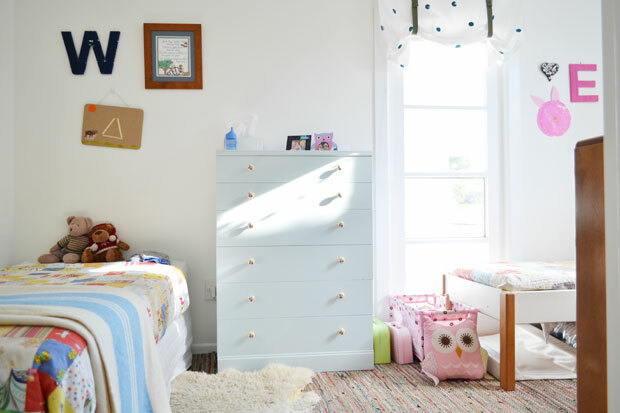 A bedroom is such a big space in a small persons life. I know mine features strongly in my childhood memories. Maybe because of its pink floral wallpaper, pink floral duvet, pink floral curtains and pink floral lightshade. All matching. Laura Ashley I think. No matter, I loved it at the time! Now I must do something about those missing curtains. Here’s a promise… the next photo you see of this room will have curtains! 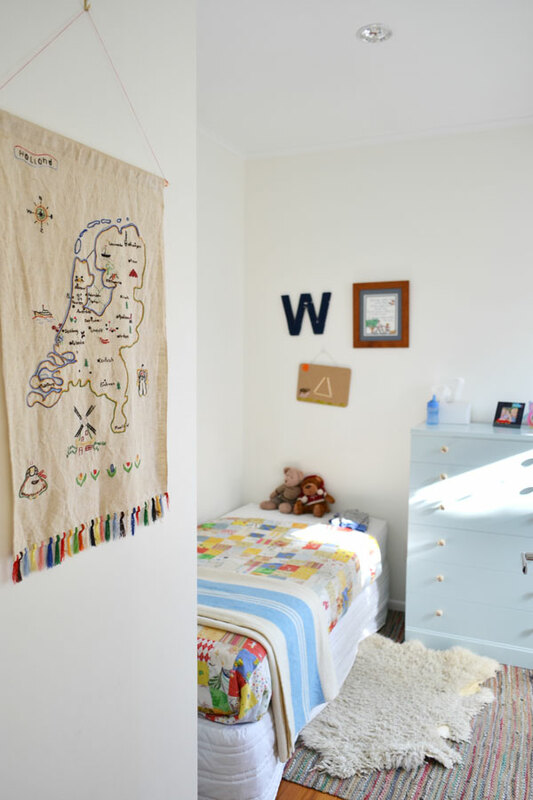 And probably a toddler bed… how fast do the cot days go?! 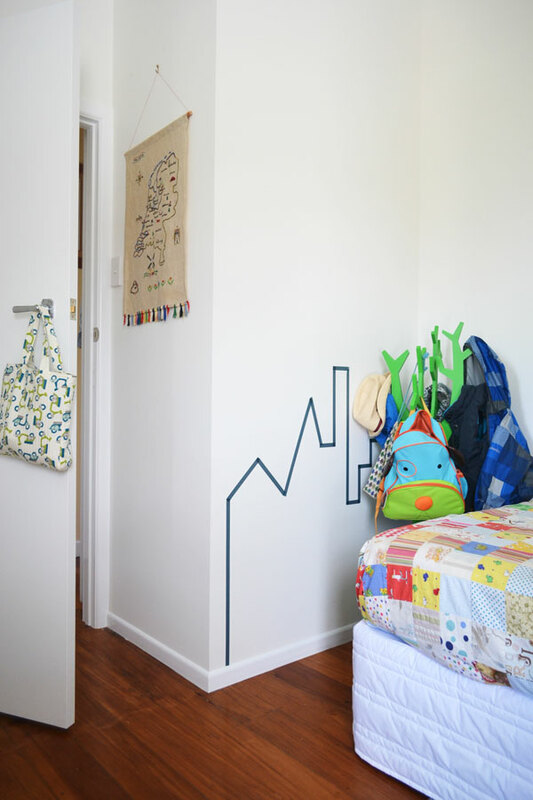 This entry was posted in Children's Bedroom, Interiors and tagged boy-girl room, childrens room, design, home, interior, kids bedroom, midcentury, mix and match, nursery, retro, shared room, vintage on March 7, 2014 by Jolene. 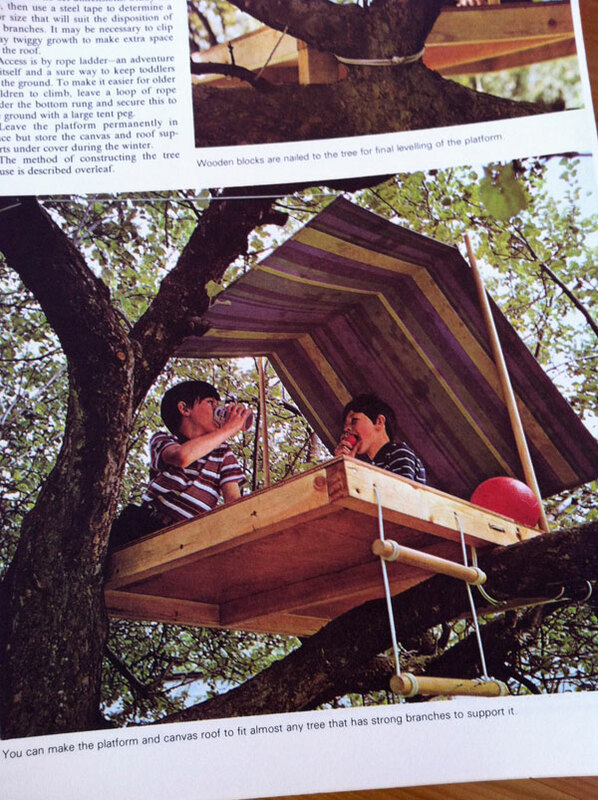 I’ve had an amusing and enlightening half hour this afternoon listening to Miss E chatter in her cot instead of sleeping… browsing through a decades old Reader’s Digest Do-it-yourself Manual! 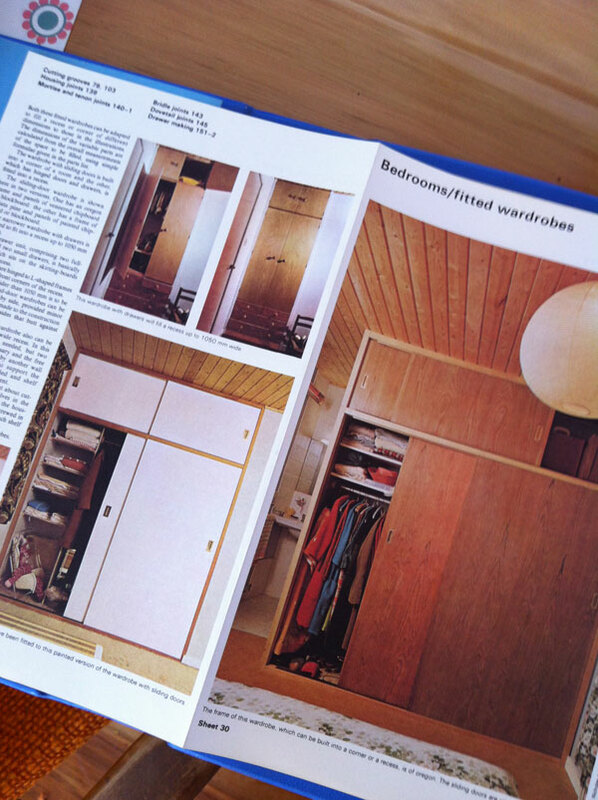 This wardrobe is what I was looking at before I got distracted by all the other “projects”. 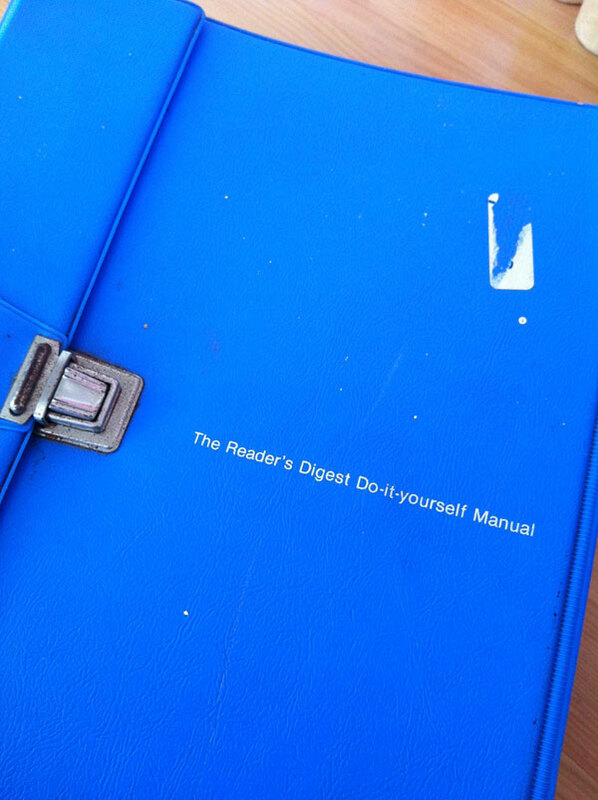 Andre pointed it out to me the other night (he regularly flicks through this manual…!) and I was keen to have another look, to see if it might be an option for our master bedroom wardrobe. 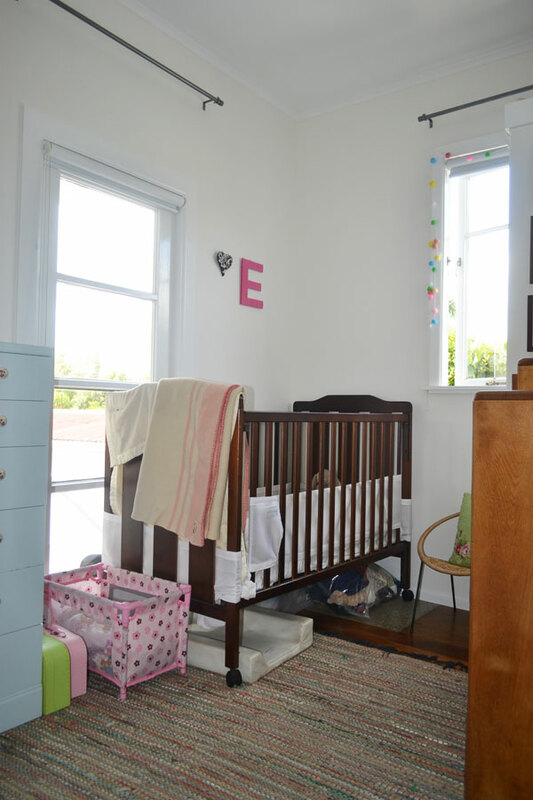 I’m not a huge fan of lots and lots of bare timber so my pick would be the white doors, with timber trim (bottom left). 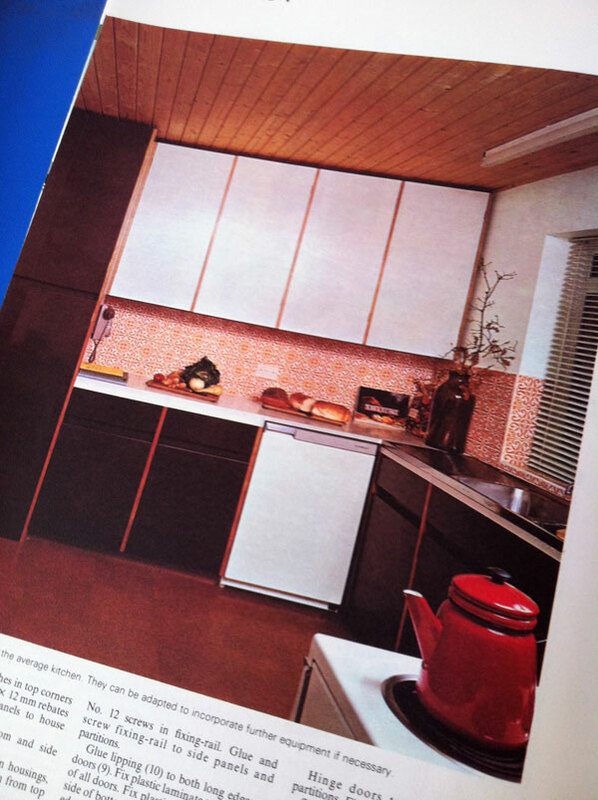 Adore the tiled (tiled-look at least) splashback and the hardware free cabinetry. Fresh baked bread – that too! These stacking beds are good for a smile! 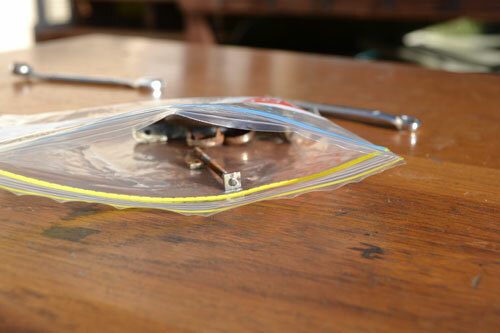 And they’re actually a bit ingenious don’t you think? 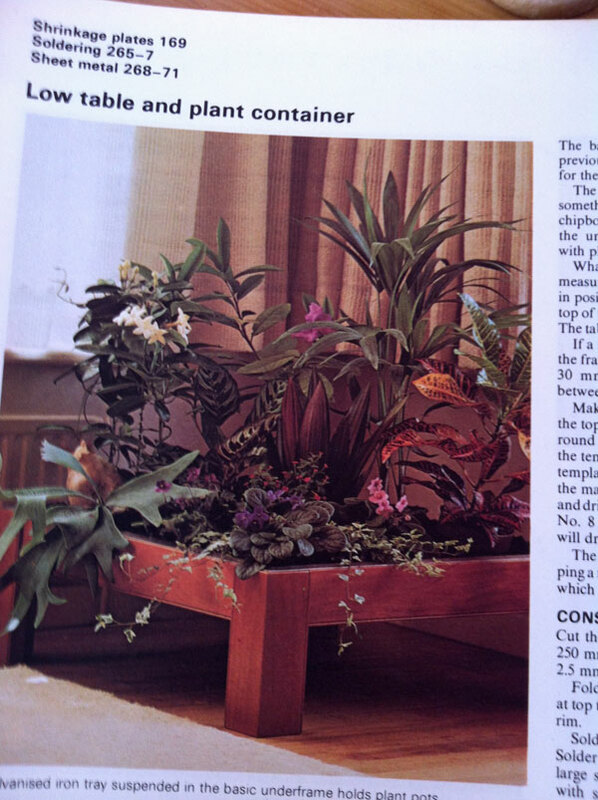 This plant table has potential… I think I’d make a succulent version for outdoors. Speaking of outdoors… if you have a large tree in your backyard how fun would this little hideaway be?! I love the striped canvas “roof” rather than a more permanently built one. 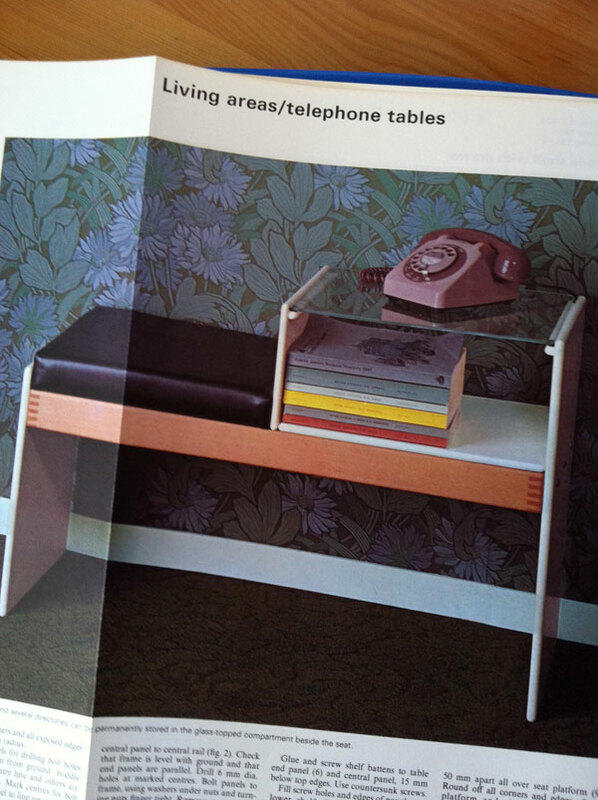 This telephone hall table brings back memories of a childhood friend who had one in her big wide villa hallway… envy! Home phones might be somewhat obsolete in the near future but it wouldn’t be wrong to perch on one of these for a chat on your smartphone would it? It would put a stop to pacing up and down or trying to fold the washing while holding a meaningful conversation – that’s got to be a good thing! The previous generation (or two) were smart cookies, with style. And they even left us manuals to prove it. Hooray for them! 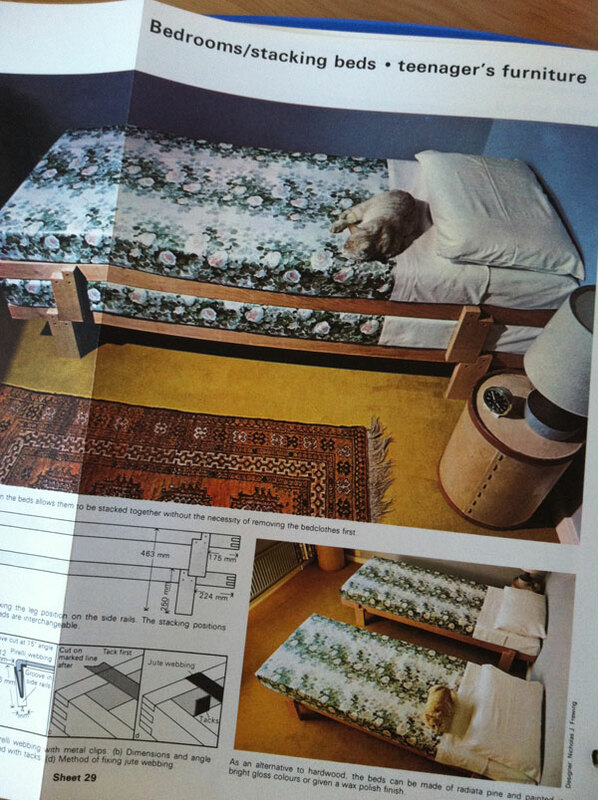 This entry was posted in DIY, Mid Century and tagged diy, manual, midcentury, projects, readers digest, retro, vintage, wardrobe on August 8, 2013 by Jolene. In the visual feast of Pinterest perfection that can get a little overwhelming at times, it was so so refreshing, and relaxing (phew, this looks more like my house!) 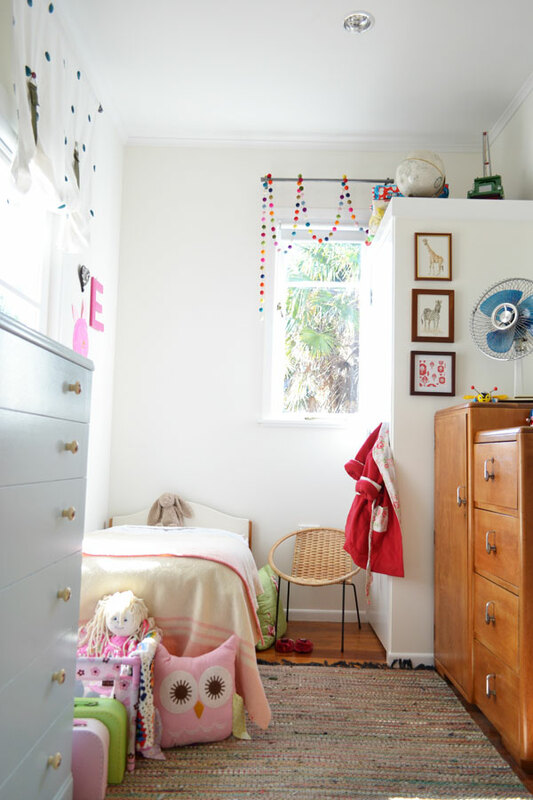 to see this super gorgeous but utterly lived in home, shared by Apartment Therapy. The retro touches, and the retro house for that matter, are not for everyone. But I love it so much, because it looks loved itself! Oh yes there is definitely styling here, but it’s styling of objects that are meaningful and more than likely sentimental. And precious because of that, but not so precious that you don’t want kids within 3 metres. That, my friends is what I call a home. 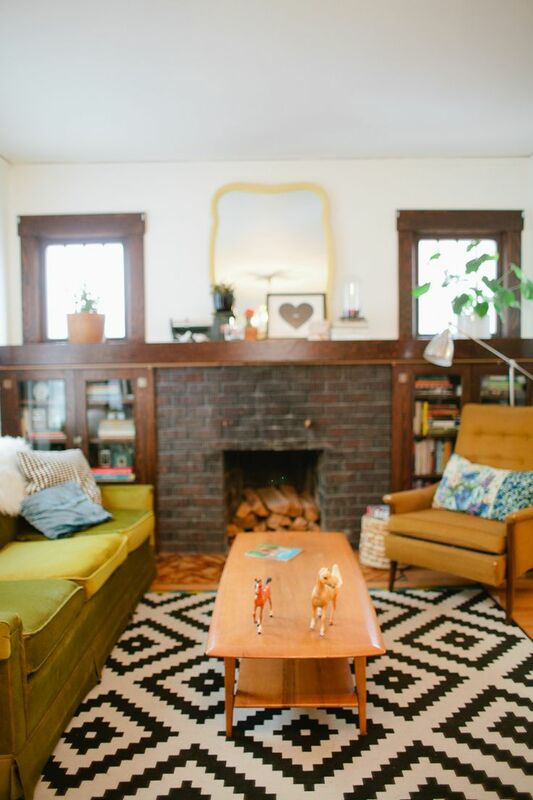 It’s the kind of home I aspire to and bit by bit, want to share with you here as we go. There is so much more to see of this house – please do. Even if it’s just to humour me! 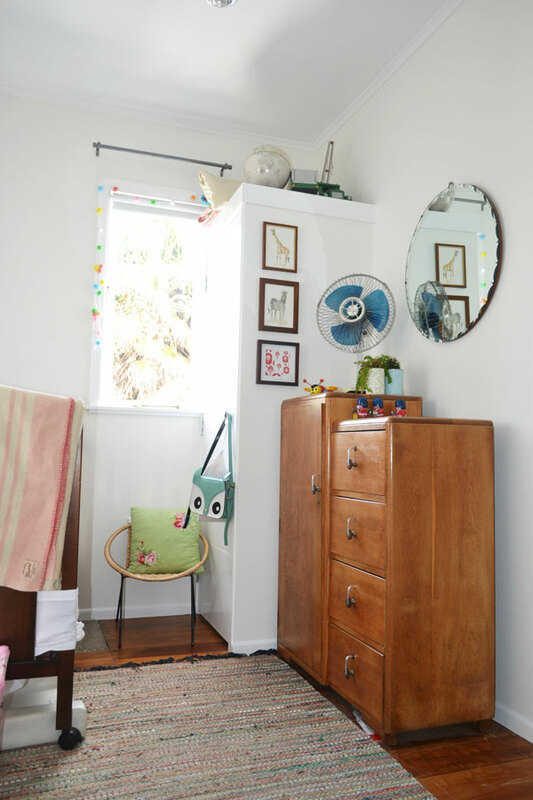 This entry was posted in Design, Interiors and tagged apartment therapy, family home, home decor, interiors, perfection, pinterest, retro, styling, vintage on July 1, 2013 by Jolene. Saturday saw us picking up a manrobe (among other adventures) which we purchased for a bargain price of $67 on Trade Me. I was convinced it would go for over $150 and left Andre to bid up to that amount (it closed at 11pm – I was well in bed by then!) so I was delighted when he told me (at around 4am after feeding session number lost count) we won it, and for so much less than I thought it would get to. While the littlies were sleeping and he had to keep away from the power tools Andre went to pick it up. 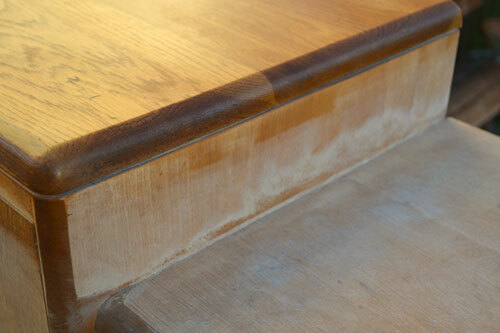 I was glad to see that all it needed was a going-over with the sander and then a spit and polish to have it looking lovely but still character-worn. Having had a saved search going on Trade Me for one of these things for the kids room for months now, I was super keen to get stuck into it. So I did. I handed over the baby monitor to Andre, got my dust mask and safety glasses on and got to work. First up I dismantled the handles, which proved to be a little more time-consuming than I would have thought, and the first three all came off in varying combinations of handle pieces. I decided I’d better grab a bag to collect all the bits in. 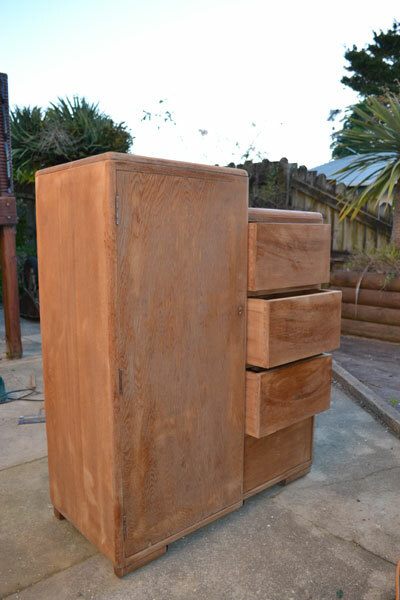 There wasn’t a close up of the handles on the Trade Me listing, so I wasn’t entirely sure what they were like, but thought I could easily replace them if I didn’t like them so it was hardly a deal-breaker. But Andre really likes them and I quite like them, so I think they’ll stay. They’re also quite nice to “handle” which is one of those little details that make such a difference when you’re battling to get a toddler dressed! As mentioned, they all came apart in different ways. 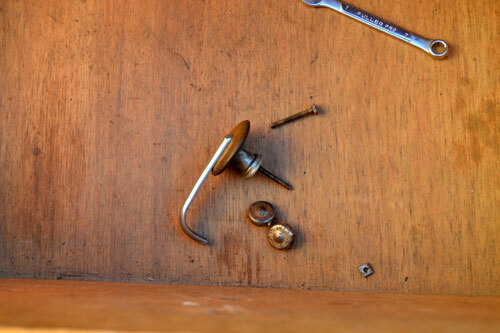 This was the one that stayed together, but most others had the handle part in a few more pieces than the one you see here! Note: I need to spruce up the handles and their hardware a bit (they’re a little tarnished and rusted) so any advice on a simple way to do so would be appreciated! No progress shots on this as I was hard at work and too filthy to pick up the camera. Besides, I was having fun! Here though you can see where I got to with the orbital sander, and the top level has been cleaned off, and the bottom level still covered in sanding dust. Once I cleaned up the rest of it I got to work with some sandpaper and got the edges (see below how there are still dark bits, with varnish on them) and all the fiddly corners done too. By this time it was cooling off (you can feel it in the blue-ness of the photo above!) and the little ones were both up and “helping” (Master W) or watching (Miss E) so I was glad to be finishing up and heading inside. I was so pleased with myself though for getting stuck in and completing the sanding job within hours of Andre picking it up! Not many things happen quite like that around here, as you’ll well know if you’ve been reading my vague and unfulfilled promises of “I’ll have some finished photos for you real soon!” for a while. I’d hate to disappoint you though so you can count on it being at least 3 more months until I get back to this project and varnish it and get those handles back on (even handles take months around here)! 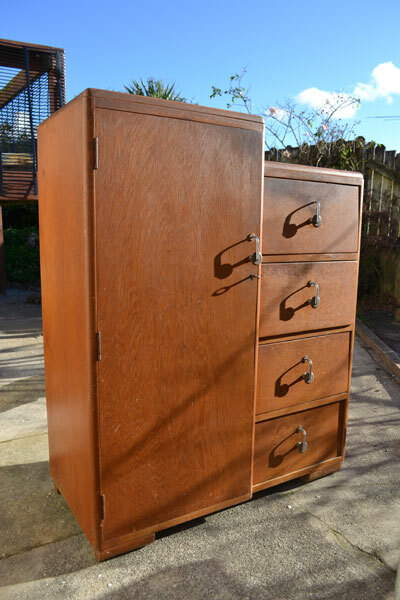 Anyone else get to stripping (furniture only please…) last weekend? Or have plans for it this weekend? I haven’t put ideas in your head now have I?! 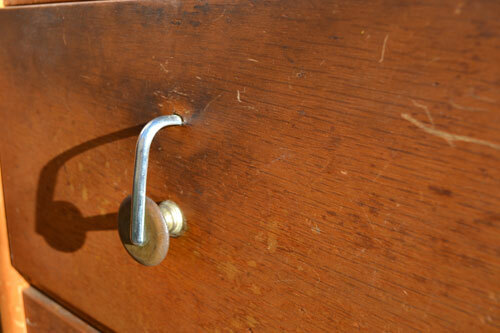 This entry was posted in Children's Bedroom, DIY, Mid Century, Shopping, Storage and tagged art deco, drawers, handles, manrobe, Mid Century, nursery, restoration, retro, sanding, storage, wardrobe on June 21, 2012 by Jolene.